I used one of the other bunnies in this set to make my Easter cards last year. It's such a versatile set and these bunnies are so my idea of Easter bunnies I find myself reaching for this set most often this time of year. There's a lot of masking on this card. I stamped the bunny, then put on cloud masks, bunny mask, stamped the grass,sponged on the blue sky, then removed the masks and finished coloring and stamping the rest of the scene. Wah Lah, Scene It! I also masked the flowers on the belly band then stamped the Happy Easter in black, then masked the Happy Easter and stamped the flowers in Hollyhock. Our Creative Corner OCC-Think Easter! 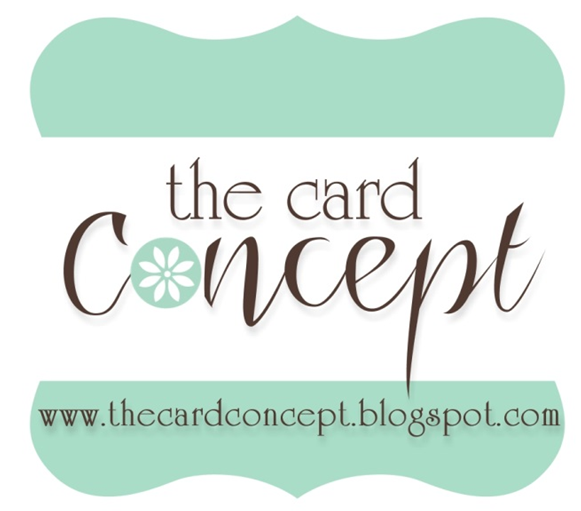 Stamptacular Sunday Challenge Challenge #51: Scene It! Supplies: Instructions from Splitcoast Stampers, Papers: K&Co Lovely Designer Paper, Stampin Up-Whisper White, others from scrap box, Stamps: Studio G Series 41, Darcie-JCS0085, Will 'n Way Whimsy Borders, Posh Impressions Grass, Ink: Ranger Archival Ink-Jet Black, Stampin Up-Kiwi Kiss, CTMH-Z2125 Grey Wool, Z2143 Pin Carnation, Z2126 Heavenly Blue, Z2153 Sweet Leaf, Z2155 Topiary, Z2162 Honey, Z2152 Sunny Yellow, Z2110 Buttercup, Hollyhock, EK Success small corner rounder, Stampin Up-Round Tab punch, heidi grace Icons accents, glue dots. Beverley, I love this card. Your scene is so cute. I love your sky. Thanks for joining in at SSC. 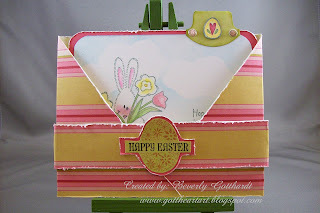 A great Easter card with matching envelope the bunny is very cute and your colour combo is very spring like. Thanks for playing along at Magical Crafts. Beverley, this is just adorable! I love the matching envelope and belly band, just so pretty! Thanks for joining us at MCFC this time. How wonderful this is--I have never had the patience to mask off an image but you make it look grand! 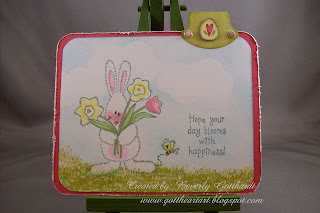 Adorable card, love that bunny...great masking job! 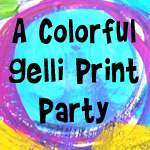 I'm so glad you were able to join us this week at the Stamptacular Sunday Challenge! 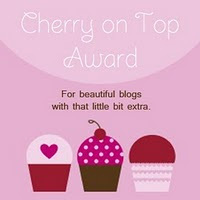 Be sure to join us next week for our Blog Hop and lots of chances to win prizes! Hope you can join us! Oh! this is just adorable!! The bunny is adorable! Beautiful card. Thanks for joining us for our throwdown. Love your gorgeous card, sweet image and pretty colours. Alot of masking or not, all well worth it, such a gorgoeus card, image is beautiful. Beautiful! Love the envelope technique! Totally cute and beautiful pull out card!!! Love this sweet design!!! Now this is cute, cute, cute!!! Great coloring along with everything else! 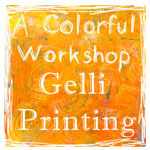 Thanks so much for joining us for the Stamp Something challenge.